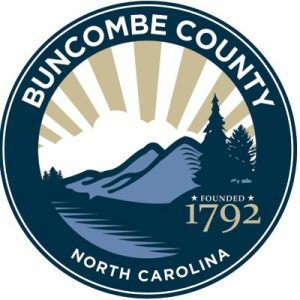 The Buncombe County Aging Plan guides the direction for aging and adult services. This plan is unique in that it is county-funded, staffed and responsible for directing Home and Community Care Block Grant (HCCBG) funds. The County intends to become more comprehensive in its planning for older adults. Specifically, this County seeks to broaden both the number and type of its leaders and institutions owning responsibility for: advancing the well being of older adults, improving their role in the community, and facilitating their capacity to more fully engage in the community. This County will continue to include a diverse representation of older adults in its comprehensive planning processes. Buncombe County is rich in resources and community programs and services. On becoming aware of the “Network of Age Friendly Communities” movement and its potential to contribute to the overall livability of this community, this County’s elected officials on May 2, 2017 adopted a resolution directing the Aging Coordinating Consortium (ACC) to apply for membership in the Network of Age Friendly Communities. The 2018-2022 Aging Plan will have at its core the implementation of the 5 year planning structure (e.g. it’s first two years will be engaged in a formal assessment of existing services and identification of accountability benchmarks of future progress). The County Commission adopted resolution authorizing participation in the Network of Age Friendly Communities includes this directive, “Convene a steering team to lead the Age-Friendly Community Initiative. The steering team should actively seek input from diverse stakeholders, with significant participation from older Buncombe County residents.” The initial assessment of current services and infrastructure will include direct responses from this County’s older adults. The intention is to use the survey process as an opportunity for community education about the diversity and interdependence of the 8 domains in order to provide a truly age-friendly community.